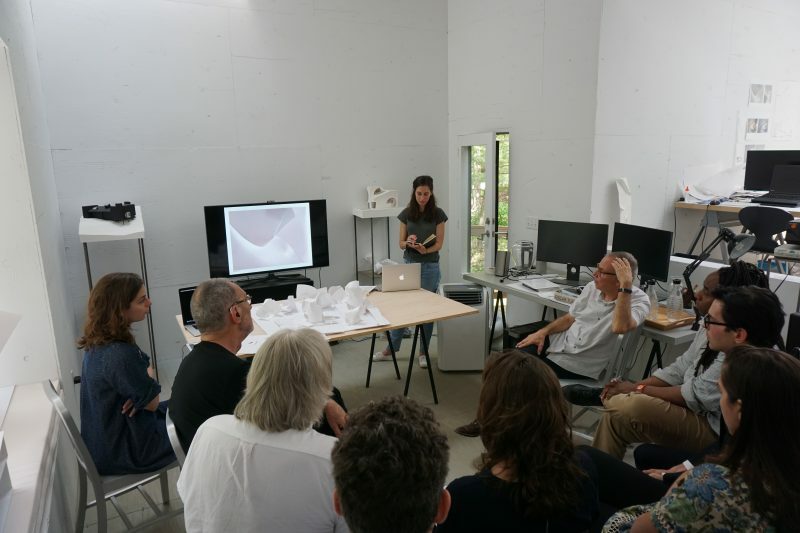 The Steven Myron Holl Foundation launched its new architecture summer fellowship for students and young professionals at the ‘T’ Spacein Rhinebeck, New York earlier this year, and it was a great success. Following a competitive application process as you would probably imagine, the five selected architectural fellows — Ashley Morgan, Billy Wong, Haotian Xu, Meng Wang, and Ran Huo — were invited to take on the 25-day intensive studio project titled “Rural Compression”, wherein they had to design a chapel (of no specific denomination) that seats 20 people. The fellows lived in the “Fellow’s Cabin” on the 30-acre T2 Reserve. The fellows presented their work to critics that included Thom Mayne, Michael Bell, Stan Allen, and of course Steven Holl, along with several others. The studio also included design critiques, pin-ups and conversations with the instructors and invited professionals. Fellows also got to go on field trips in Dutchess County to notable destinations of architectural and artistic interest. The fellowship concluded with a small graduation ceremony at the Ex of IN house on August 2.